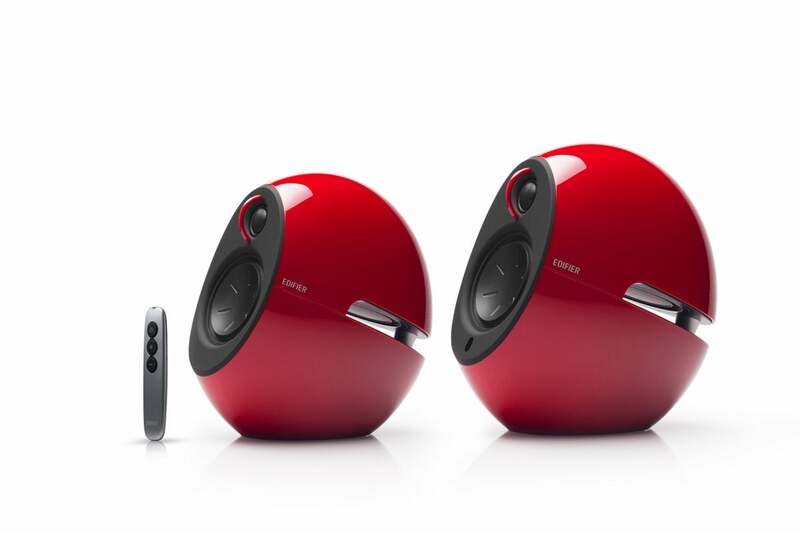 The 60s sci-fi look will be a turn-off for some, but these stationary speakers deliver fantastic sound for the money. Discovering that Edifier’s retro/modern-styled Luna e25 HD Bluetooth stereo speaker pair costs only $250 was a bit of a shocker. After two days of hands on without reading the press release, I figured they had to cost twice or perhaps three times that. They’re that good. They’re not portable, and they require a cable strung between them to ply their trade, but if you’re looking for something to blast sound about the living room, they’re the real deal. What we’re dealing with in the Luna e25 HD is a sort-of-classic or retro-modern ovoid. 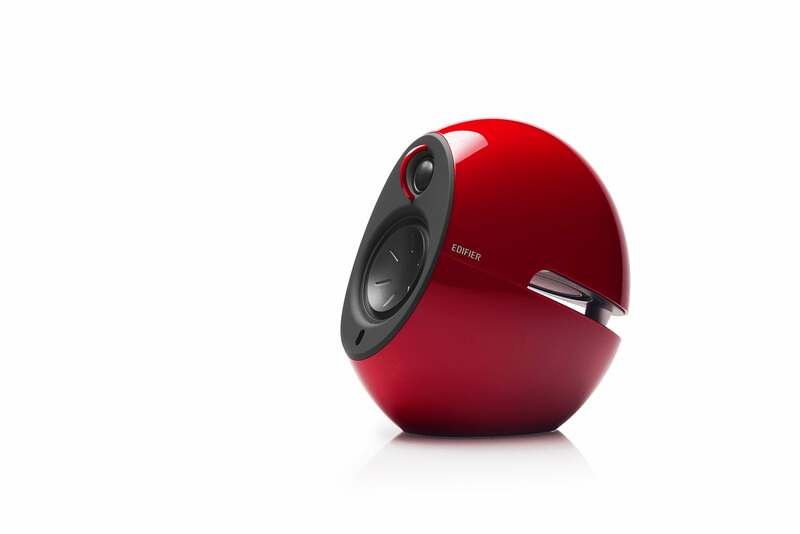 I tested the red version that evoked thoughts of a Pac-Man who’d eaten a few too many pellets. They’re also vaguely reminiscent of a certain recent period in kitchen appliance manufacturing. Yes, that’s why they pay me the big bucks. Obviously, the pictures do a better job of describing these 8.34-inch high, 8.74-inch deep, 4.8-inch wide speakers than I can. But if for some reason those aren’t showing up, the Luna HD are vaguely egg-shaped, with about 20 percent sliced away at an angle in the front to allow the 3-inch woofers and 0.75-inch silk dome tweeters to pump air. There’s also a horizontal hangar deck midway down the back of the speaker that allows an upward-facing passive radiator to move air. 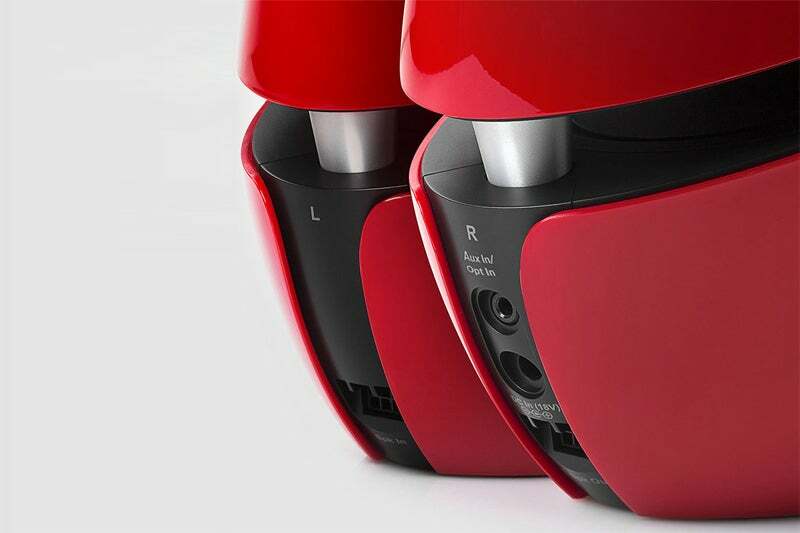 On the back of one Luna HD are the combo 3.5mm auxiliary/optical digital input, AC jack and 6-pin speaker connector which transmits both power and audio signals to the second Luna HD. A matching 6-pin connector is all that you’ll find on the secondary speaker. The power, auxiliary, and optical cables Edifier includes are impressively thick. That’s usually a sign of quality design and manufacturing, and after using them, that certainly seems the case here. The cables are a good match for the overall solid construction of the speakers. 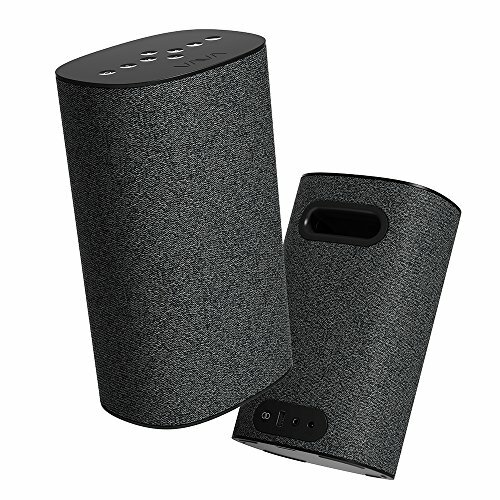 Edifier also supplies a remote with on/off and volume up/down buttons, so you don’t need to get off your sofa to reach the stylishly integrated touch controls found on the left side of the primary speaker. Most people will use wireless connections, but the Lun a HD can also accommodate 3.5mm analog or optical digital sources. Bluetooth pairing happens automatically. There’s no button to press or password required. The first device to grab it, gets it—with no thought of security. As they are meant to be used in your home, that’s not a big deal. One thing about the odd shape: You’ll need to set them on something. Without a flat side or back, apart from the bottom, it’s pretty much impossible to mount them on a wall. You could look at that as an opportunity to play up the style of the Luna HD and their existence in your abode with the Luna Series flamingo (my adjective, not theirs) stands ($100 at Amazon). These raise the speakers 2.5 feet above the floor. DSP stands for Digital Signal Processing and is advertised as a feature of the Luna HD (which stands in turn for high definition—whatever that means in this case). Digital signal processing is a very broad term that simply says that something’s being done to the audio signal. This could be just about anything from EQ to psychoacoustics. Edifier also touts dynamic range compression (DRC), which is another of myriad of possible DSP functions. The company’s website says it’s to prevent distortion, but that’s generally handled in the input gain staging, as compression imparts its own color to sound. In mass-market audio, DRC generally refers to quieting the overly loud passages in movies, so that you don’t wake up the neighbors. If you’ve ever heard this applied, you’ll notice a squashed flavor to the audio. There was no squash that I could hear from the Luna HD. The Luna HD features DSP and DRC, but all you really need to know is that they sound good. Not to pick on Edifier, but the boutique audio business is rife with terms that sound impressive, but are basically meaningless. These aren’t, they’re just used in a semi-meaningless fashion. But boutique also means high-quality construction and components. So for me to mention the $250 Luna HD as having a boutique feel (aside from the part concerning marketing drivel) and boutique sound is high praise and slightly amazing. Amazing, because $250 in boutique audio is what some vendors charge for a cable. I’ve already killed the suspense for this topic, but… Stereo separation, how I’ve missed thee! Seriously, there are only so many portable (and stationary) single-body speakers you can listen to before you want to run screaming into the night in search of right and left pan. Perhaps not at the beach, but indoors? You get good separation with the Luna HD, as well as excellent sonority. The frequency response is largely flat where you want it (okay, where I want it), with a mild accent at the low end. They’re not studio monitors, but they sound far better than the average Bluetooth product. They’re loud (the amp sends 22 watts to each woofer and 15 watts to each tweeter, clear, and with no discernible distortion. There are also none of the occasional subtle glitches that you sometimes get with true wireless stereo (TWS). I could wish for a wee bit more top end sparkle, but that’s being picky at this price. That said, the Luna HD lack any sort of EQ function, so it that’s missing from your playback source, you won’t be able to pump up the bass or roll off the treble. With “DSP” on board I find that odd. Yes, that was a wisecrack. I personally never really felt an overpowering desire to twiddle, but tastes vary. They sound very, very good as is. 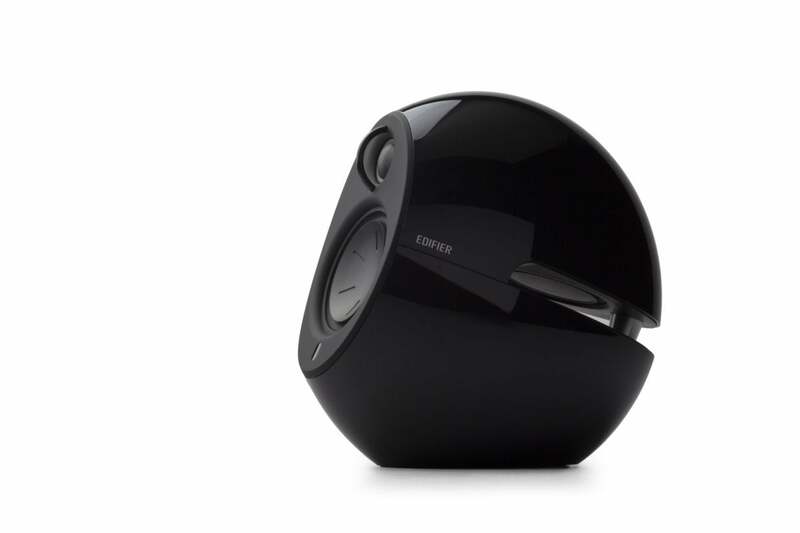 Edifier also markets a $450 system that appears to be the Luna HD with the addition of a like-styled subwoofer. Not my thing, but if you throw dance parties, check it out. There are also the non-HD Lunas which have the same styling but cost only $200. I haven’t heard either product, so I can’t tell you how they compare sonically, but extrapolating from the Luna HD, probably quite good. That’s not a promise. The Edifier Luna HD are excellent Bluetooth bookshelf speakers and a huge step up in quality from the average single-body product—both in sound and construction. Stereo! I personally love the style, and I even liked the color. I’m guessing a lot of people will opt for the more neutral white or black, though the shape will still likely provoke conversation. The white version of the Luna HD. 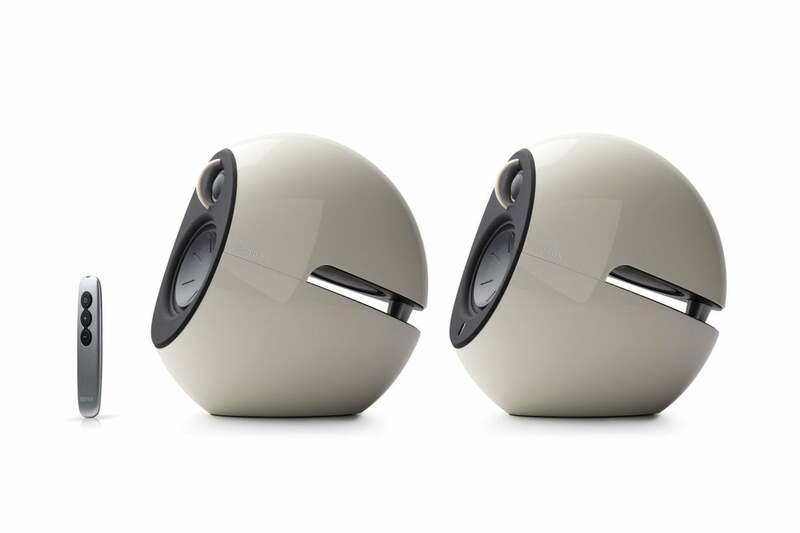 I’d be remiss if I didn’t mention the VaVa Voom 22 stereo speaker pair available at a similar price point ($220). The VaVa Voom don’t sound or feel quite as solid as the Luna HD, but they are portable and consequently more versatile as to where they can be placed, as well as featuring a more classic profile. Providing options completed, I really, really like the Luna HD. They’re the best-sounding Bluetooth product I’ve tested, which is where the buck stops as far as I’m concerned. Given the price, they’re absolutely ace.